Posted 3:27 pm by London Video Productions & filed under Blog. Have you ever attended a Korfball match? This past week LVP worked with England Korfball Inspired to spread the word about the sport Korfball and how to gain accreditation for your local club. We talked to a few Korfball players and representatives from England Korfball Inspired, and found that those playing the sport are extremely passionate about it – you may even meet your future spouse! Similar to netball and basketball, Korfball is a ball sport with two teams of eight. The players on each team can be either all female or split four men and four women. There is a mixed-gender league and a women’s league, but no men’s league. To score a teammate must throw the ball into a bottomless basket mounted to the end of a pole. This makes for a fast-paced game with lots of scoring and defending from each player. Originated in the Netherlands, Korfball is currently played in over 60 different countries, with two alternating national tournaments. Posted 5:59 pm by London Video Productions & filed under Blog. The idea of sitting down at a desk, hunching forward in front of a computer for eight or nine hours doesn’t sound appealing – so why do we do it? There have been many studies in the previous years about the negative mental and physical affects sitting down can have on someone working at a desk all day. The website for Get Britain Standing (http://www.getbritainstanding.org/) explains it further by saying it can lead to increased blood pressure levels, backache, depression, and various other health risks. According to the research, standing while working can help employees become more focused, more productive, and less stressed. With our typical work day, it might be difficult to stand while completing everything that we need to get done. That’s why we have tried to do something active at least every hour. Even something as simple as standing up and stretching – or even having a meeting or taking a call while standing up – can make all the difference. Just getting up out of the chair and onto your feet can help you feel more awake and ready to tackle your next task. 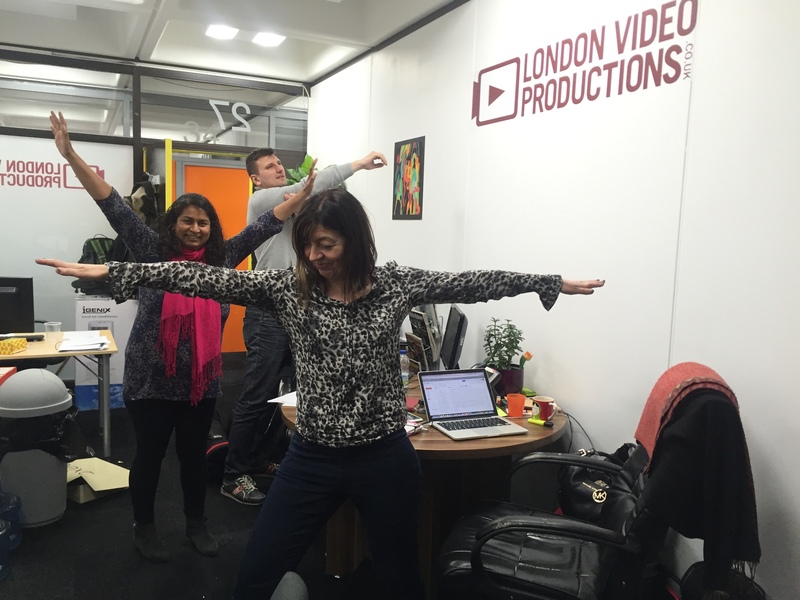 Above is what we have tried at London Video Productions, what would it look like in your office? Maybe if you’re an editor you can take the advice we heard from famous editor and sound designer, Walter Murch, at a Jam Session with Cinema Jam a couple weeks ago. Through his many years of experience and research, he’s found that he gets the best results and feels the best when he edits while standing. No matter what type of work you’re doing, how will you find a way to get out of your chair and onto your feet? 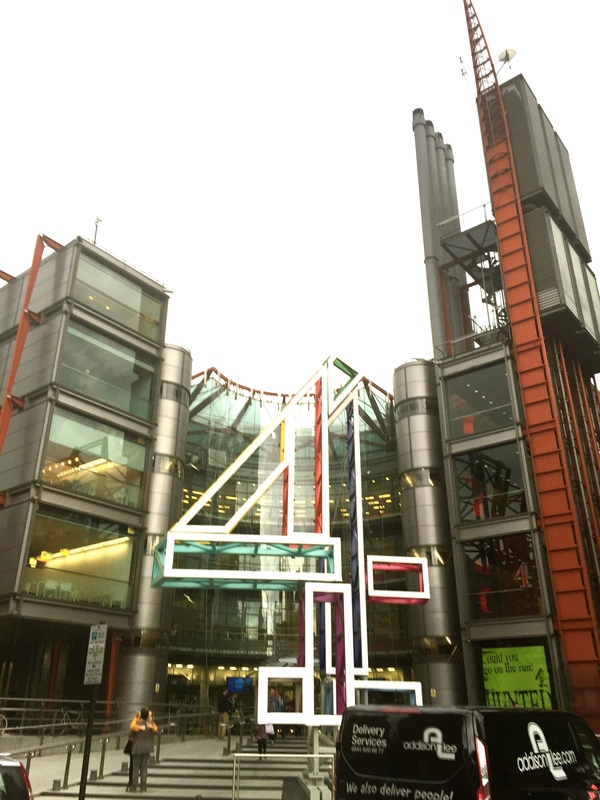 Posted 4:05 pm by London Video Productions & filed under Blog. 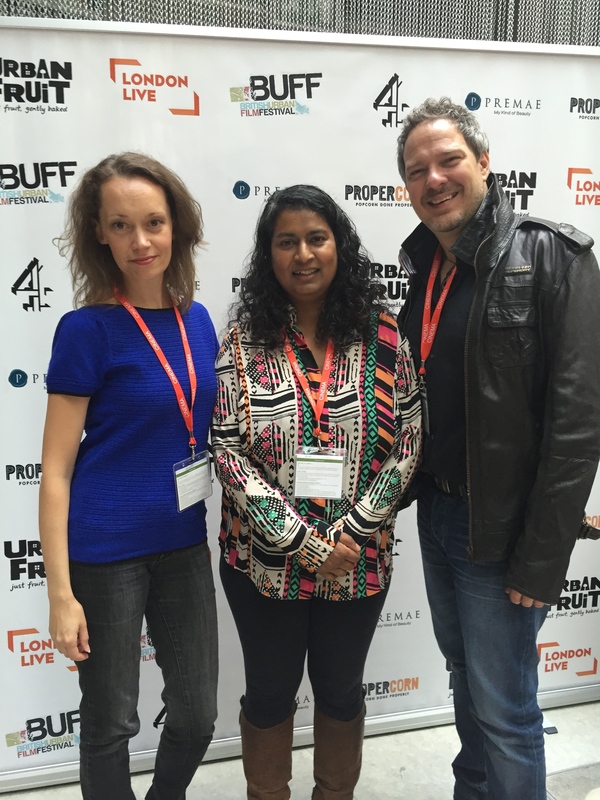 Our very own Director/Writer Ros Gihan-Wiliams met with actors Julia Florimo and Mark Hayden at the British Urban Film Festival (BUFF) for the screening of Leap. 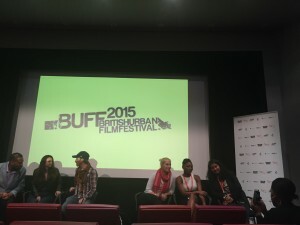 BUFF was established in 2005 and initially was formed to showcase urban independent cinema activity in the UK. 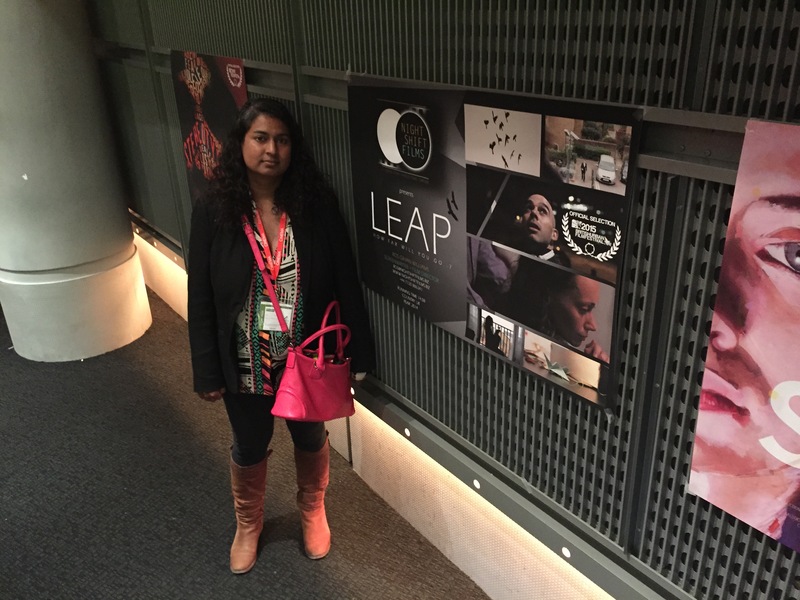 Over the years the festival has gained momentum and is now supported by a board of actors, journalists, film critics and filmmakers. BUFF Founder and Director, Emmanuel Anyiam-Osigwe, describes the festival as “A great shop window for filmmakers to showcase their talent and their personalities as producers and directors. It’s a great opening also for actors, actresses, cinematographers, writers, musicians and other key crew to showcase their talents and personalities to an appreciative audience”. BUFF 2015 was supported by Channel 4 and London Live. 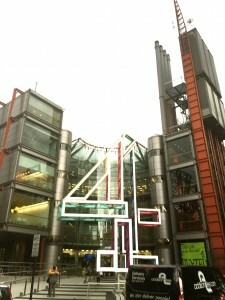 The 6 day event featured 27 screenings and 4 UK Premieres. We were proud to be part of it!! !